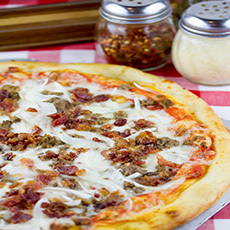 Tomato sauce, mozzarella, ground beef, onions, bacon Our pizza is served with only the freshest ingredients. You'll find that they're made with a thin crust, with an amazing, fresh tomato sauce, and mozzarella cheese. It has a delicious herb flavor that is hard for anyone to pass up! 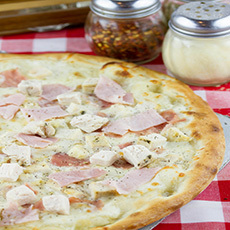 ..
Shredded chicken, mozzarella, ham, Blue Cheese Sauce Our pizza is served with only the freshest ingredients. You'll find that they're made with a thin crust, with an amazing, fresh tomato sauce, and mozzarella cheese. It has a delicious herb flavor that is hard for anyone to pass up! .. 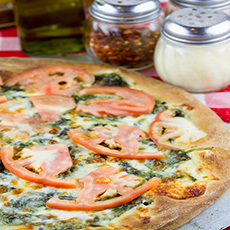 Heavy cream, mozzarella, spinach, tomato slices and parmesan cheese Our pizza is served with only the freshest ingredients. You'll find that they're made with a thin crust, with an amazing, fresh tomato sauce, and mozzarella cheese. 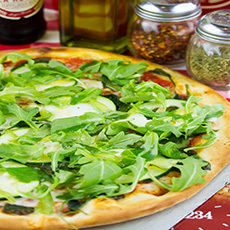 It has a delicious herb flavor that is hard for anyone to pass u..
Tomato sauce, mozzarella, zucchini, green peppers, spinach, arugula Our pizza is served with only the freshest ingredients. You'll find that they're made with a thin crust, with an amazing, fresh tomato sauce, and mozzarella cheese. 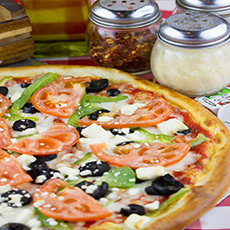 It has a delicious herb flavor that is hard for anyone..
Tomato sauce, mozzarella, feta cheese, black olives, diced tomatoes, green peppers Our pizza is served with only the freshest ingredients. 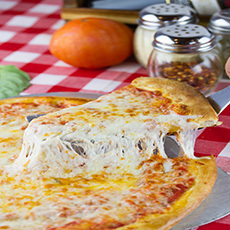 You'll find that they're made with a thin crust, with an amazing, fresh tomato sauce, and mozzarella cheese. It has a delicious herb flavor that is ..